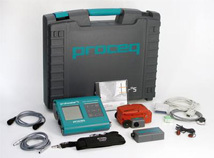 This instrument is used to locate rebar, conduit pipe or other metallic objects in concrete or non-metallic structures. 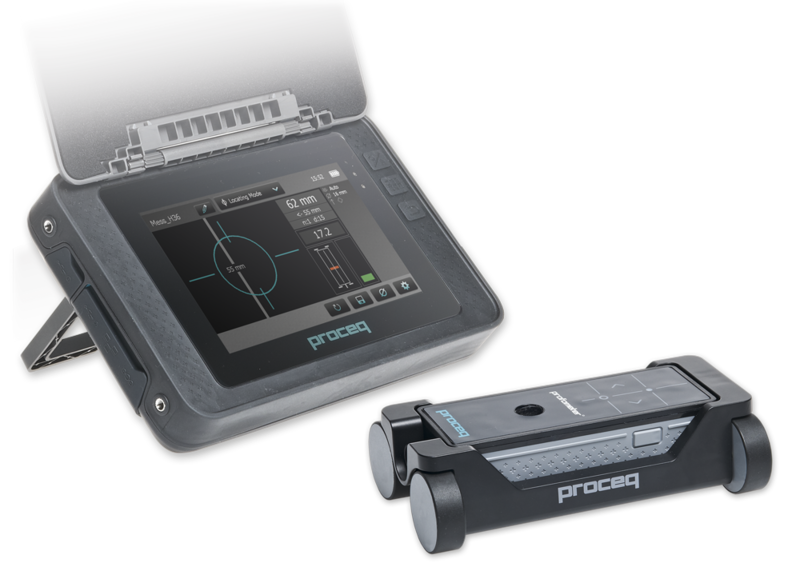 Utilizing the latest microprocessor technology these units can estimate depth of rebar, and estimate diameter of rebar. 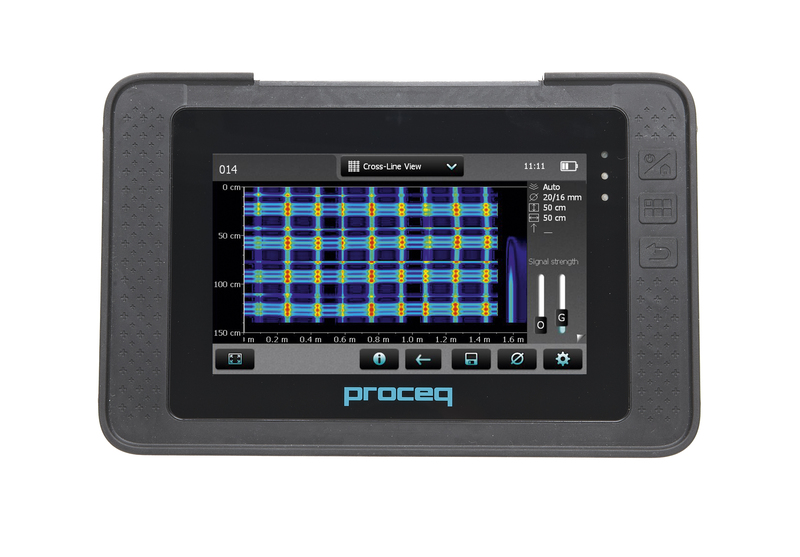 An instrument for rebar detection that quickly and accurately determines the location of the reinforcing bars in the concrete will significantly decrease construction time and costs. The rebar detection instrument has a unique real-time visualization mechanism, allowing the contractor to actually see the location of rebars beneath the concrete surface. SuppliedCompletewithuniversalprobe, probe cable 1.5 m, transfer cable 1.5 m, adapter RS232/USB, ProVista Software on memory stick, carrying strap, headset, operating instructions, carrying case with the additional features plus probe cart Scan Car with path measuring cable 1.55 m.
Probe for locating rebars and measuring cover depth in two depth ranges as well as determining rebar diameters. The unit is identical to Model S, with additional features for the Cyberscan and the measuring with grid function. Memory capacity: 120’000 values in function measurement with grid and a total of 60 objects. Model S can be upgraded to Model SCANLOG. Contact Proceq for details.